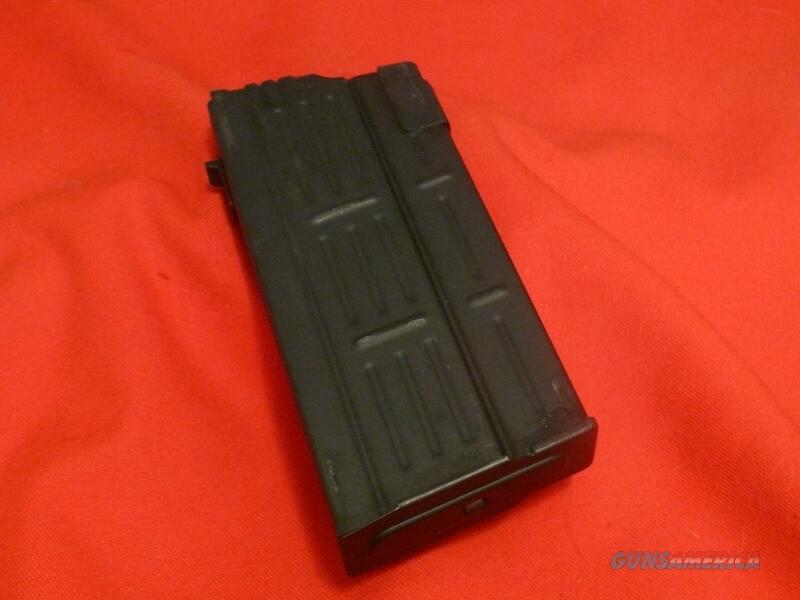 Description: New Old-Stock Factory Original Magazine for the GALIL AR, ARM, SNIPER, and HADAR Models. Israeli IMI production from January,1987. All-Steel 25 round capacity .308 / 7.62 Nato. Pristine, As-New, no box. Stamped : " IMI 1-87 B "
Please email with questions - we are usually able to respond w/in 48 hrs. Thanks for your patience. Please see our other listings for additl. Galil.308 Mags. Check your state & local laws before ordering, as we do not ship to areas where they are prohibited. Please add 9.50 shipping / ins. List price reflects 3% discount for cash. USPS Postal Money Orders preferred. Visa, MC, American Express, and Discover accepted. Personal, bank, and Cashiers Checks also accepted, with delayed shipping.